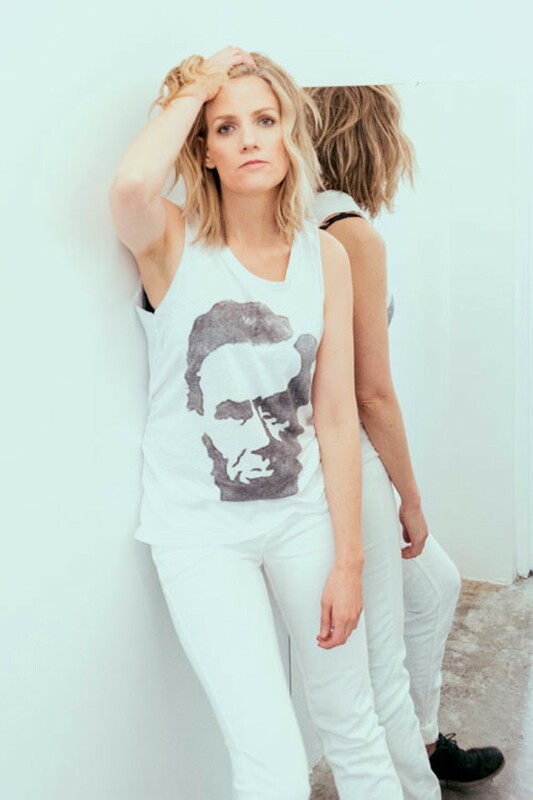 Life on the road for a musician can be difficult for a laundry list of reasons, but as Katie Herzig learned in 2011, it's also an awful place to grieve the loss of a loved one. Her mother, Cheryl, died from a terminal illness the day Herzig set out to tour in support of her then-new album, The Waking Sleep, so Herzig had no time to work through her emotions. "Touring is not the place for you to think deeply and connect with what's going on with yourself," she says. "When I get off the road, that's when I really deal with my health and emotions. So when I started digging into these songs, it was after a heavy amount of touring, and so it went hand-in-hand with me having a delayed response to really processing it all." "These songs" refers to the Nashville-based dream-pop artist's just-released album, Walk Through Walls, which examines love and loss and finding a way to push through the messier seasons of life. And while writing about these subjects helped begin Herzig's healing process, performing the emotional songs when the pain was still fresh was a big obstacle for her. "There was a point where I wondered if I ever would be able to perform a song that was related to that," Herzig says. "That was the biggest thing I had to overcome—the emotional connection. That loss was so deeply rooted, but it was still just on the surface, really, so it was hard to imagine that I could sing a song and not immediately cry." As "Forgiveness" shows—with its gradual build-up from muted keys to breakneck dance pop, and with Herzig's guttural cries anchoring much of the song—pain may make you stronger, but that does not make it easier to sing the song. The surprisingly joyful track "Human Too" uses a lot of evocative language to talk about going through trials and coming out stronger on the other side. But the swelling synth-pop title track stands out most; it's emblematic of Herzig's recent struggles, but it also demonstrates that you can move on from anything.